→Skip instructions, I’m a pro! Let’s talk healthy-ish for maybe just a minute or two. 1- I hate that word. 2- I work out and I need that word. 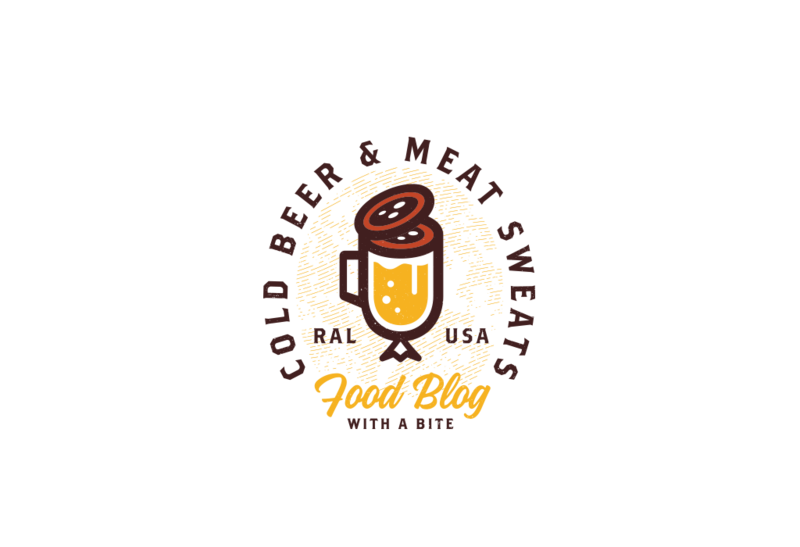 3- I love cold beer and cooking meat. 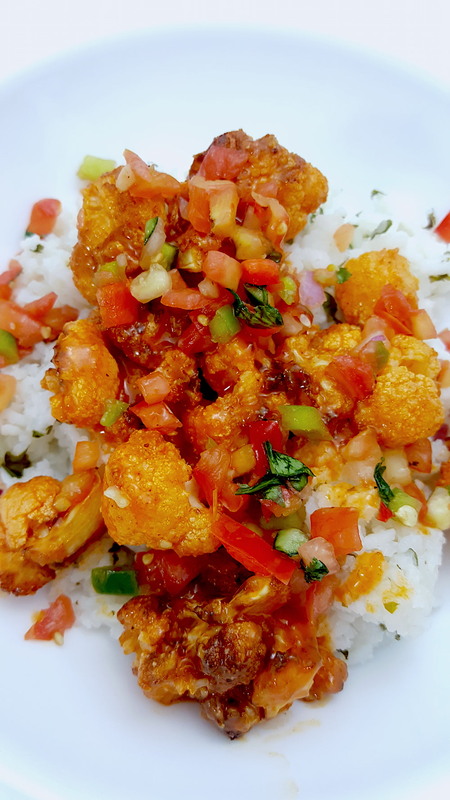 4- Cauliflower will never replace meat, but,…. it makes me feel less guilty when making this recipe. 5- I’m just trying to be honest. 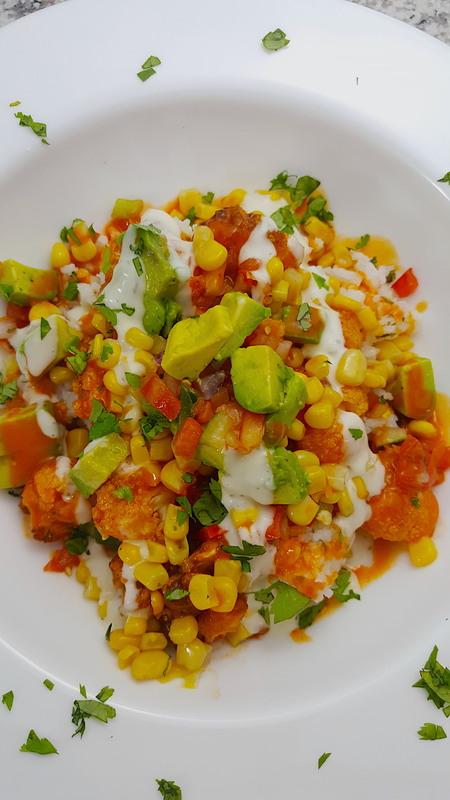 Make this recipe after a long day at work, or after you come home from an intense workout, and you’ll go to bed guilt free and as one happy camper. 1. Chop all the cauliflower, remove the stem and leaves, place chopped chunks into a large mixing bowl. Drizzle with EVOO, sprinkle with taco seasoning, and add in the minced garlic. Mix well with rubber spatula and set aside. 2. With a medium sized pot, place the water and rice into the pot and bring to a boil. Reduce heat to a simmer and cover with a lid. Set a timer for about 18 minutes. 3. 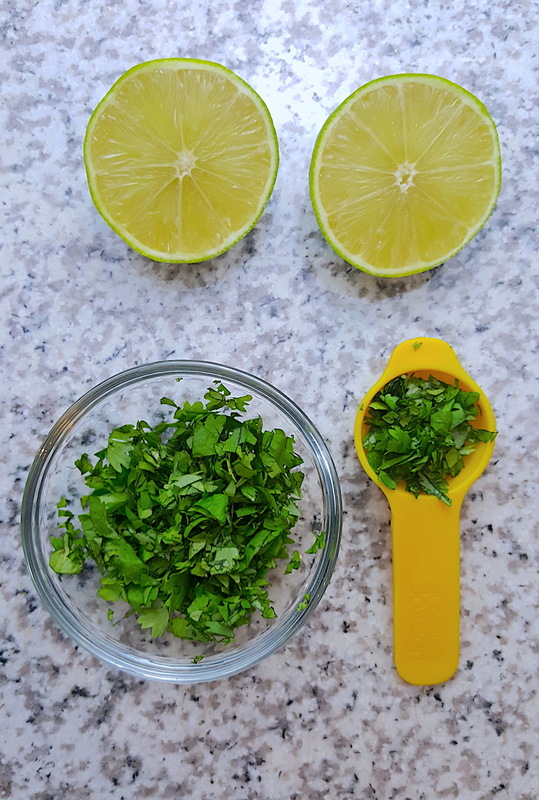 Chop the cilantro and cut the lime in half, then set aside. 4. Grab a medium glass mixing bowl, (doesn’t have to be glass just something that is microwave safe). 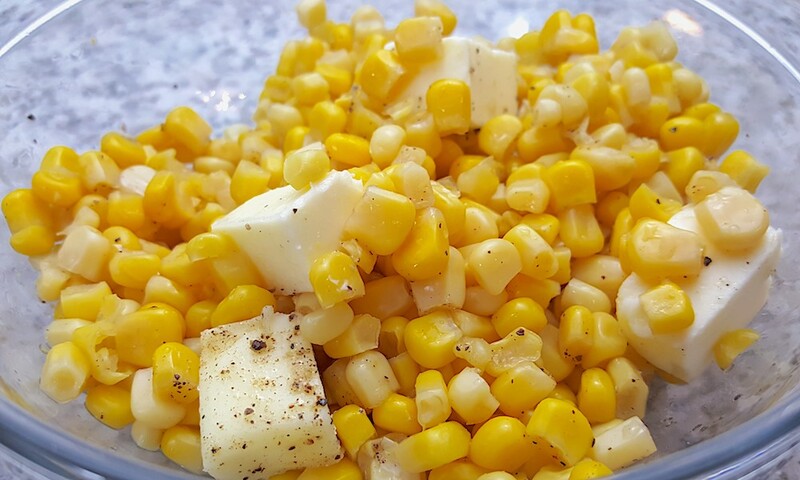 Strain the corn then add it to the bowl. Chop the 2 T butter into cubes, then add those into the bowl. Sprinkle with salt and pepper, mix all together with spoon, and set aside. 5. 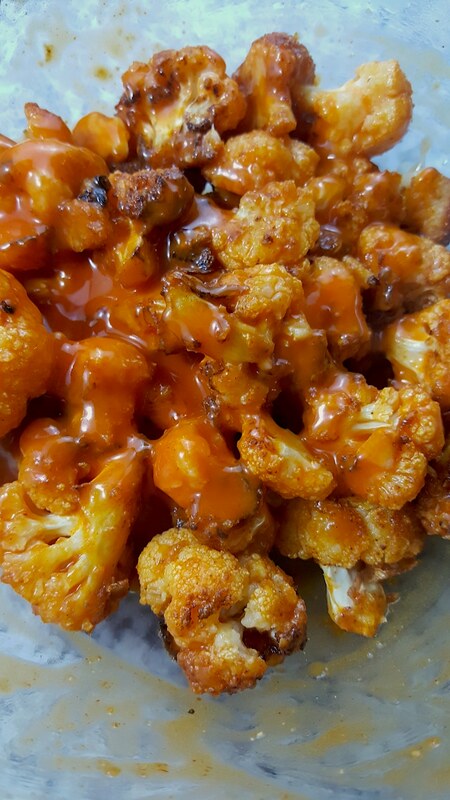 I used an air fryer to cook my Cauliflower but you can use the oven just as easily. Put the oven or air fryer on 400 F, once warm, add in the seasoned cauliflower. Close the drawer and set timer for 13 minutes. 6. In the meantime, remove the lid and check the rice. Fluff with a fork, taste, and if ready remove from heat, if not cook until it’s done. 6a. 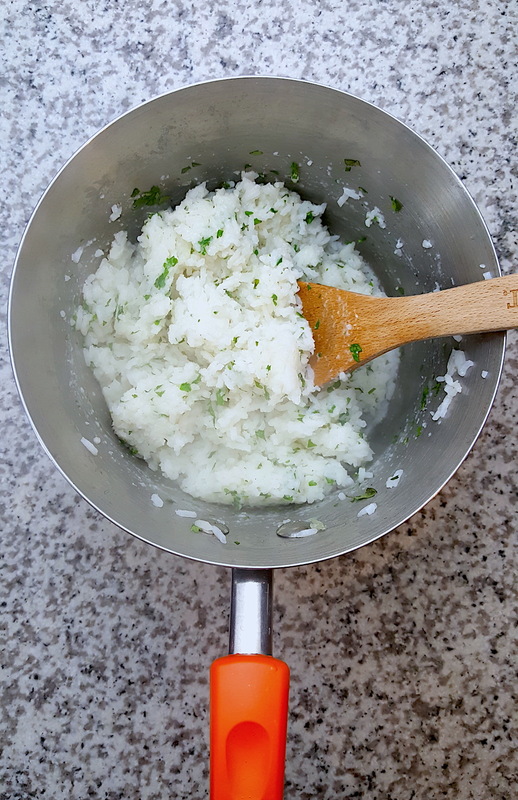 To the Rice: Mix in the cilantro, and using a hand held lime juicer, (usually wood or metal), squeeze in one half of lime juice. Stir everything together with a wooden spoon and taste, adjust lime juice accordingly. Set aside with lid on top to maintain some heat. 9. Carefully remove the cauliflower from the fryer or oven, turn off air fryer and oven when done. 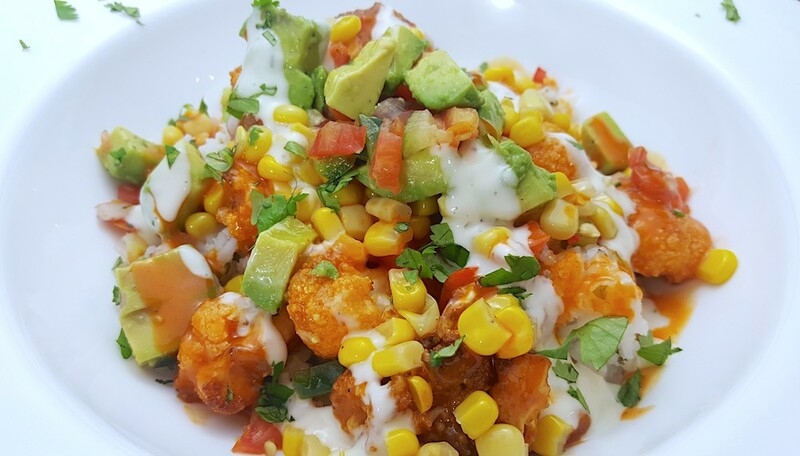 Place the cauliflower back into the large mixing bowl, and pour in buffalo sauce. 10. Toss the buffalo sauce and cauliflower together using the rubber spatula and set aside. Get out the serving bowls and begin to build to bowls. Don’t need step by step instructions? 5. 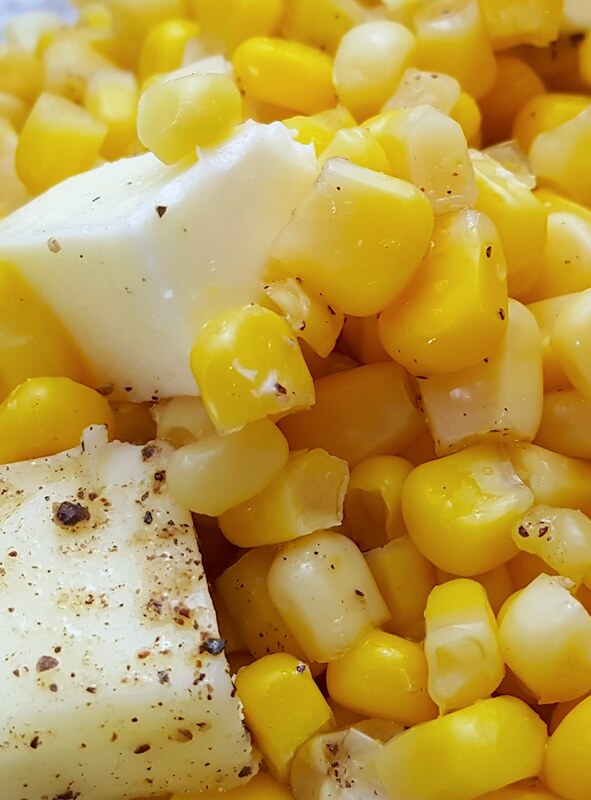 Strain the corn then add it to the bowl. Chop the 2 T butter into cubes, then add those into the bowl. Sprinkle with salt and pepper, mix all together with spoon, and set aside. 6. 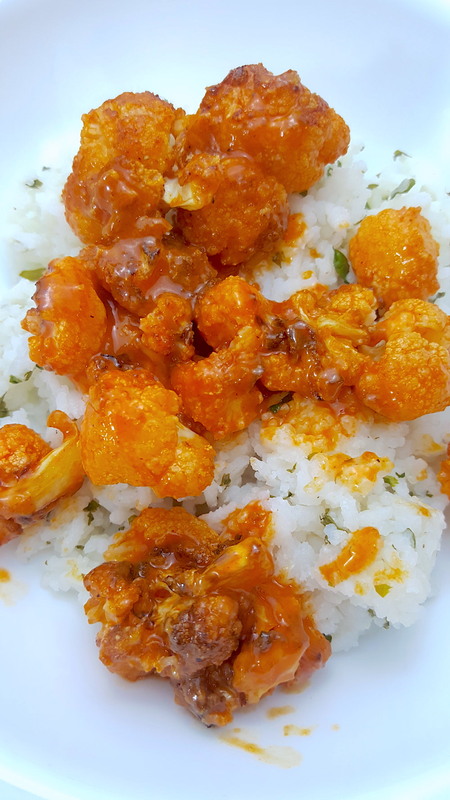 I used an air fryer to cook my Cauliflower but you can use the oven just as easily. 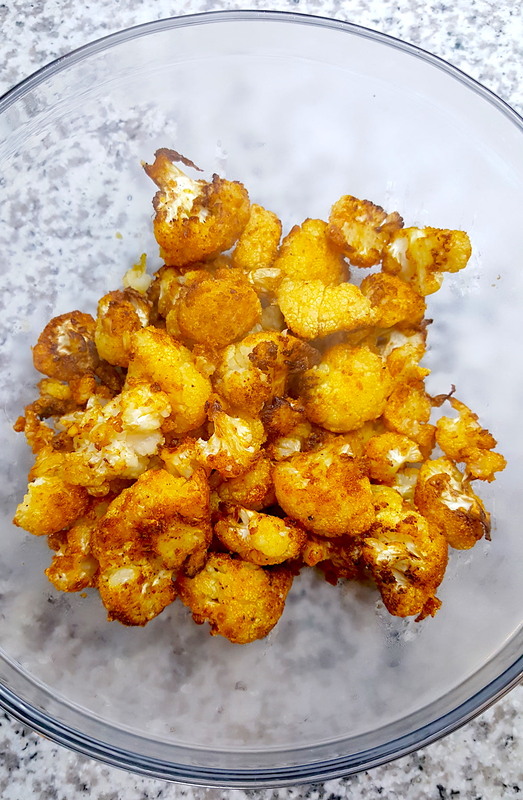 Put the oven or air fryer on 400 F, once warm, add in the seasoned cauliflower. Close the drawer and set timer for 13 minutes. 7. In the meantime, remove the lid and check the rice. Fluff with a fork, taste, and if ready remove from heat, if not cook until it’s done. 8. 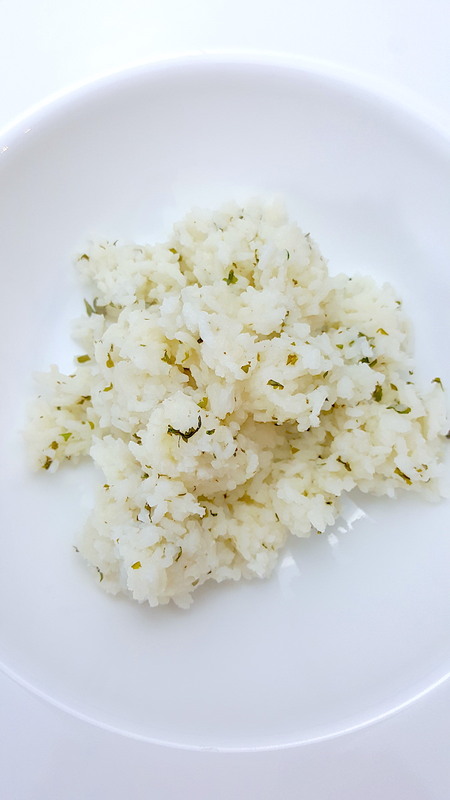 To the Rice: Mix in the cilantro, and using a hand held lime juicer, (usually wood or metal), squeeze in one half of lime juice. 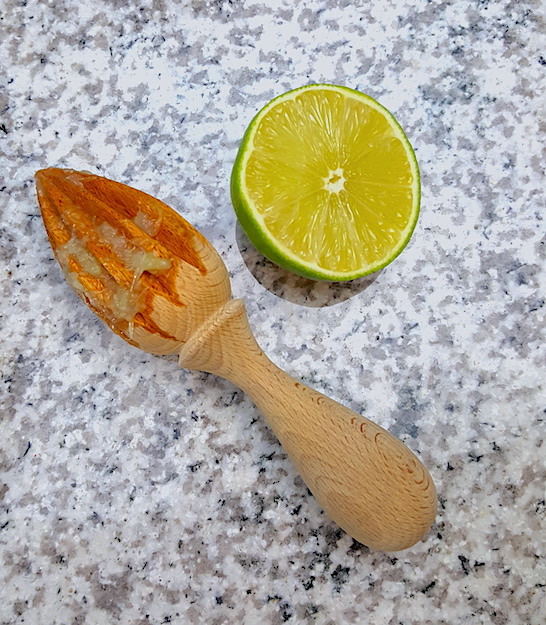 Stir everything together with a wooden spoon and taste, adjust lime juice accordingly. Set aside with lid on top to maintain some heat. 11. Carefully remove the cauliflower from the fryer or oven, turn off air fryer and oven when done. 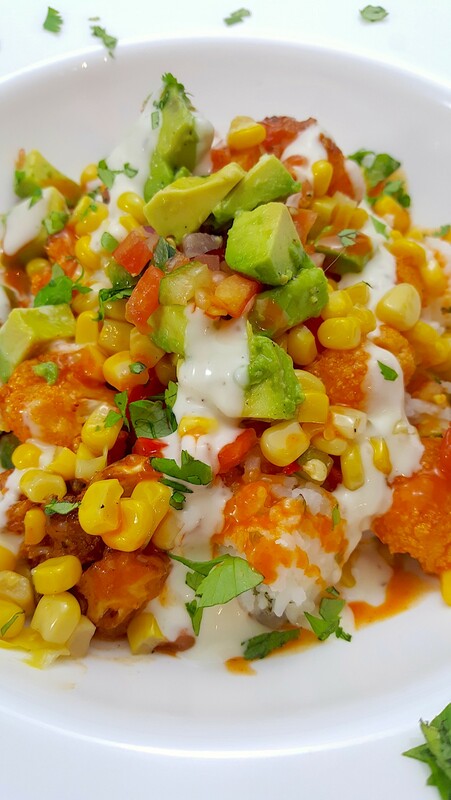 Place the cauliflower back into the large mixing bowl, and pour in buffalo sauce. 12. 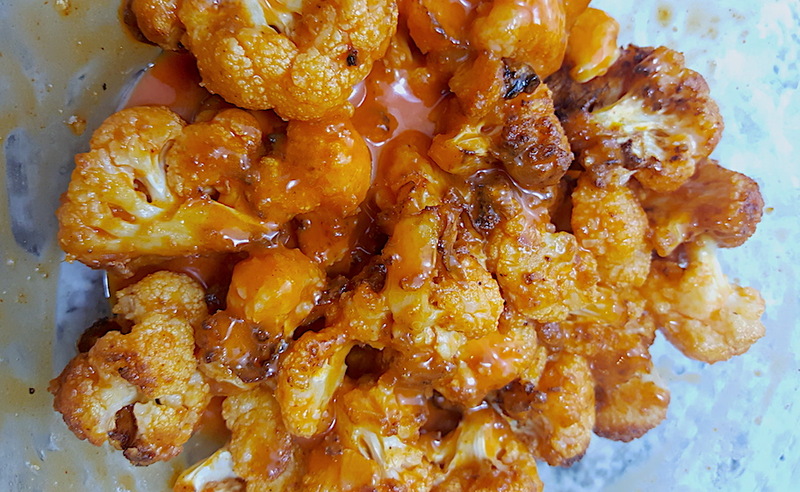 Toss the buffalo sauce and cauliflower together with a rubber spatula and set aside. Get out the serving bowls and begin to build to bowls.